These presentation slides 40668 are complete compatible with Google Slides. Simple download PPTX and open the template in Google Slides. You just cannot miss this superb Chart Shapes template in the chalkboard sketch style with two background color variants. It contains graphs, charts, scales, stripes, reports, arrows, data boxes and other nice items to draw the whole attention of your audience exactly to your cool presentation. 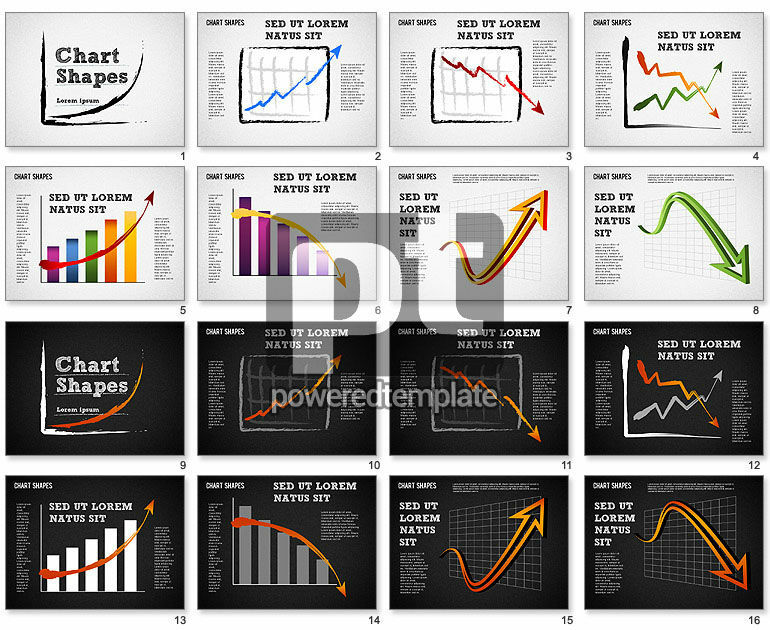 This cool sample can be used in different presentations devoted to results, strategies, marketing, etc.